Solamagic GmbH was founded in 1991 by degreed engineer Klaus-Dieter Knoch from Zeulenroda, Germany. The brand carries various infrared heaters for indoors and outdoors. Solamagic heater lamps are suitable for application in professional environments such as restaurants or large-scale events, but also at home in the living room or on the patio. The special feature of infrared heaters is their robust construction and energy-efficient operation. In the following text we are going to present you the company Solamagic along with their products. Infrared radiation is electromagnetic waves occurring in the natural light. They ensure that warmth can be felt when you are out in the sunshine. There are three sprectrums that are used for electric heater lamps. Short wavelength IR-A generates immediate heat on the skin regardless of ambient temperature and draught. 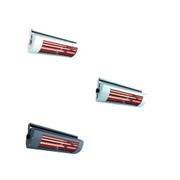 Heaters by the Solamagic brands emit warmth with this type of radiation, making them perfect for application outdoors. Medium and long wavelength infrared radiation (IR-B, IR-C) have less intense effects and are found wherever gentle warmth is needed, for example in incubators. IR-A heater lamps are really powerful and turn even large spaces into a sun deck. Solamagic GmbH originates from a brand Knoch Lichttechnik GmbH, a manufacturer of lights in 2010. Since 2004 the company produces heatre lamps with Philips HeLen lamps for wholesalers. The headquarters is still located in the city of Zeulenroda, Germany. Since 2010 end customers can order infrared heaters as well. The distribution for Germany and Austria is done by Austrian company Etherma, a manufacturer of electric panel heaters. Seeing that founder Knoch has now turned to other occupations, Oliver Kersting and Dirk Assenmacher are now managers of the medium-sized company with about 40 staff that also take care of research and development. The ever-expanding product line counted 15 IR heaters along with LED and halogen lighting in April 2016. The core segment will continue to be made of infrared heating technology with a heavy focus on reducing light emission (low-glare and no-glare appliances). Der beliebte Solamagic S1 ist als 1400 und 2000 Watt Version erhältlich. Depending on their IP rating Solamagic heaters can be used both at home and in professional environments. Some models are equipped with high-quality Phillips HeLeN gold lamps that have a service life of about 5,000 hours. Seeing that the heaters will only be used in the evening or cold seasons, this gives users an average use of about 10 – 15 years. The lamps are easy to replace after exceeding their service life. ⮩ Watch out for Solamagic heaters with Eco+ technology. 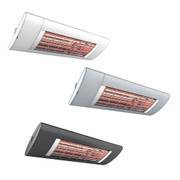 These models have a special reflector that guarantees roughly twice as much heating efficiency than conventional lamps. Solamagic’s in-house development is the so-called Solastar-G-Heater lamp with a particularly low light emission (less than 10% glare). Most of the power that goes into the heater is turned into warmth, meaning these devices operate very efficiently. Paint shops, hangars, production facilities, factories, warehouses, etc. Solamagic heaters are supplied with a lead wire and type F plug, often they can be augmented with different accessories. Generally, Solamagic heaters are controlled with a manual switch on the device itself or with a wall switch. Naturally, you can also remove the plug from the socket. The Solamagic smartphone app in combination with the S-Drive wifi control for the S1 range offers even more convenience. A wireless remote kit is also available which can be combined with a special dimmer module for continuously adjustable heat output. Another clever idea Solamagic implemented are heaters with halogen lights for outdoor application. The units can be mounted to the ceiling or walls. Alternatively they are also compatible with portable tripods so that they can be set up, taken down and moved somewhere else just as the situation requires. 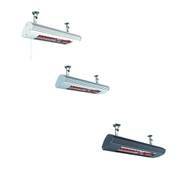 Solamagic heaters are very popular in culinary establishments. Apart from outstanding quality, owners appreciate inventive Solamagic ideas, including entire tables with built-in heater lamps. There are also models with ad spaces that can be used for advertisements or perhaps even the menu, as well as units with an illuminated advertising space. The housing colours can be matched to the interior thanks to a wide variety of finishes. The standard versions are lacquered in classic colours such as titanium, white or anthracite. Models combining heat and light (halogen spots) support any party in a pavilion or illuminate outdoor areas of hotels and swimming pools. Special constructions without any light emission at all are perfect for nightclubs or cinemas since they do not produce any distracting effects. Adjustable angles of up to 360° along with various installation options allow for application even in unused corners, on rails, etc. The stationary Heattable unit is a heated table ideal for bars and the likes. The model was introduced at a trade fair in 2010 and immediately became a favourite of the professional visitors. The heat table warms up legs and feet which is particularly good in winter. The integrated infrared lamps are protected from accidental touch by a grille. As Solamagic founder Mr Knoch found out during production, square holes allow for more heat to penetrate the grille than round holes. Furthermore, the founder also developed heated paintings for cafés. Each painting is unique and made by an artist of the customer’s choice.